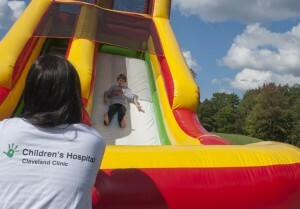 The attention-getting dry slide is sure to bring everyone running and keep them sliding at your next event! Participants can climb up 18 feet for a sleek and fast drop to the cushioned bottom, guaranteed to satisfy thrill seekers young and old. 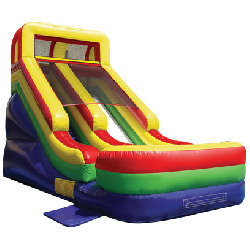 With a colorful red, purple, green and yellow theme, this dry slide rental will match any theme or décor, and be an eye-catching attraction. 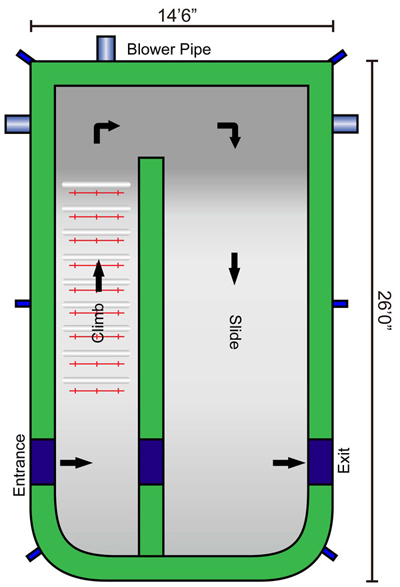 Riders will enter the left side of the inflatable play structure and make the climb and slide down the right side of the dry slide and exit on the right, ready to run around for a second turn. This giant slide is great for kids of all ages. Taller and wider than our 15' slide, great for all types of parties!